The Court of Appeal on Monday put on hold hearing on an appeal filed by Sambo Dasuki, seeking discharge of all the criminal charges against him by the Federal Government. The presiding Judge, Justice Abdul Aboki, held that the appeal was not ripe for hearing since parties had failed to file all relevant process before the court. ``As you have all seen, the respondent’s brief is not before us which means the process that should give room for the hearing of the appeal is not concluded yet. ``We shall not be giving parties any date again until the proper thing is done,’’ Aboki held. The applicant (former National Security Adviser) headed to the appellate court over his prolonged detention by the Department of State Services (DSS). 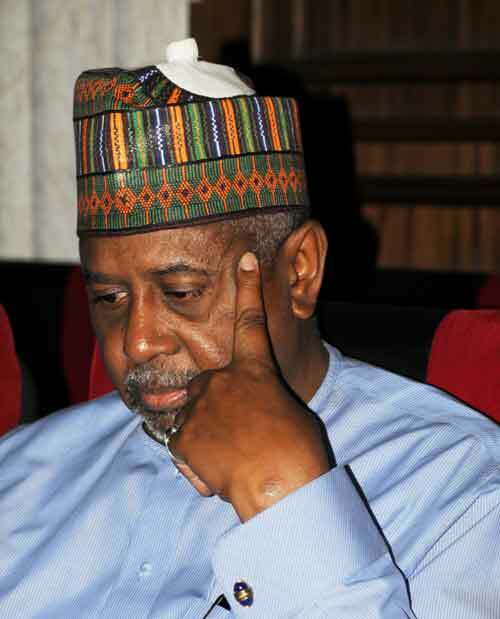 Dasuki had prayed the appellate court to set aside a judgment by an Abuja High Court that refused to stay proceedings of his trial following his prolonged detention. It would be recalled that Dasuki had been detained by the DSS since December 2015. He further urged the court to absolve him of the pending charges on account of the federal government disobedience to a court order which granted him bail. His re-arrest by the security agency came after Justice Ademola Adeniyi of the Federal High Court, Abuja, granted him bail from the custody of the EFCC. In his appeal, he also sought the stay of proceedings on his trial pending the obedience of three court orders granting him bail by the government. Dasuki said the Abuja High court which refused his earlier application for stay of proceedings of his trial erred in its ruling. The applicant is standing trial for alleged misappropriation of more than two billion dollars meant for arms purchases for the country’s military to fight the Boko Haram insurgents.